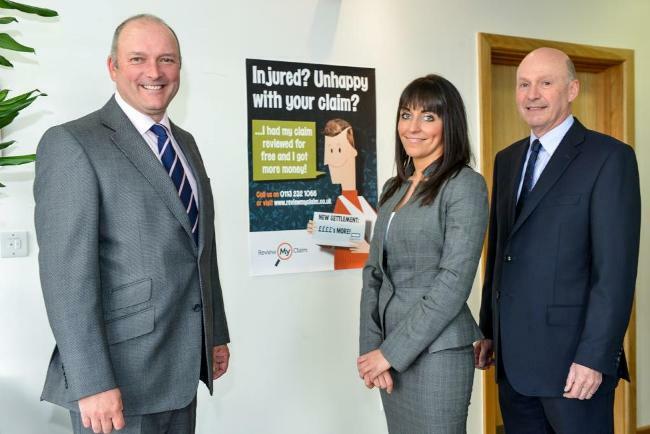 Personal injury law experts at Yorkshire law firm Emsleys are launching a free independent service to help accident victims get the compensation they’re entitled to. Legal specialists at Emsleys believe that many victims are being short changed and Review My Claim aims to tackle poor legal advice and service and protect genuine accident victims. “We’ve launched this service to help people make well-informed decisions at a time when they most need that support. “We’ve seen cases where payouts have tripled after a thorough review from experts in the field. In one case we dealt with, a lady slipped and fell at work, suffering a head injury. “Four years after the incident, she suddenly received a letter from her solicitors urging her to accept an offer of £20,000. Unhappy with how the case was being handled and the pressure she was being put under, she asked us to take a look at her case. “I’ve worked in personal injury for more than 28 years and have seen standards in some quarters deteriorate massively over that time. The industry has earned a bad reputation – and in many cases deservedly so. Many law firms and claims management companies use unqualified and inexperienced claims handlers who are incentivised to settle quickly. In an independent survey of more than 2000 people in the UK*, 41 per cent of those who had made a personal injury claim were unhappy with their settlement, or weren’t confident they were awarded the right amount of compensation. “Our job is to make sure accident victims have all the information they need to decide whether they are getting a fair service. Some may then want to change solicitors or go back to their existing advisers armed with all facts,” Andrew added. Review My Claim will deal with claims in progress, where people are unhappy with the advice they’re getting, where their advisers have made a mistake or when they’ve been told their case has no merit. It will also advise on settled claims where people are unhappy with the amount of compensation they’ve been awarded. The new service launches this month and will be led by personal injury experts Andrew Greenwood, Howard Serr and Natalie Argyle. The team also has a close working relationship with top quality barristers who specialise in personal injury cases.